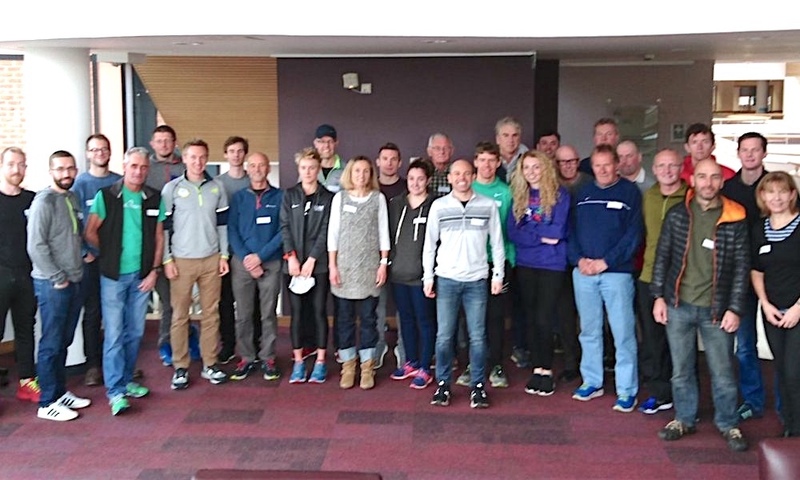 Leading coaches shared their endurance running expertise to enthused attendees in Liverpool. The second UK Endurance Conference took place in Liverpool on Sunday (November 25). The conference attracted coaches from the local region and beyond with three key speakers leading interactive discussions. 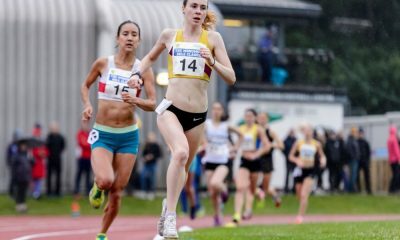 Following the success of the inaugural event in London over the summer, organiser Keith Scofield was keen to host an equivalent conference in the North of England and scheduled the event to coincide with a big weekend in the athletics calendar, the Euro Cross trials, held in Sefton Park. Headline speaker Steve Vernon, lead coach of Team New Balance Manchester, highlighted that a focus on having fun with running was how his coach introduced him to the sport, and this is a principle to continues to instil in his athletes. 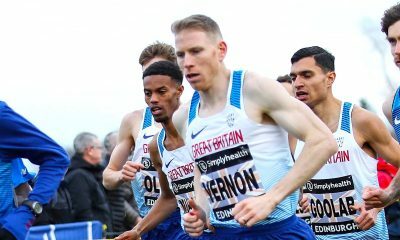 Vernon has channelled his competitive drive into a rigorous learning approach – absorbing ideas from leaders from within and outside of athletics to bring the best ideas to his coaching. He has developed his own ‘coaching philosophy’ and believes it’s important for all coaches to do the same – distilling the wealth of knowledge out there from books, to conference talks, to informal chats at the track – and deciding what works for you and individual athletes. 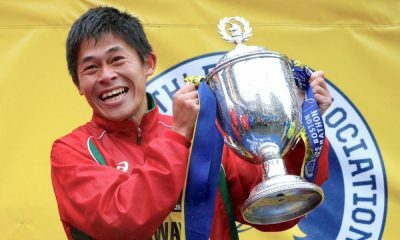 The Team New Balance house, where the runners live together, presents its own challenges and Vernon carefully ensures he’s available for his team whilst also setting some boundaries that a coach is not there to solve all problems. 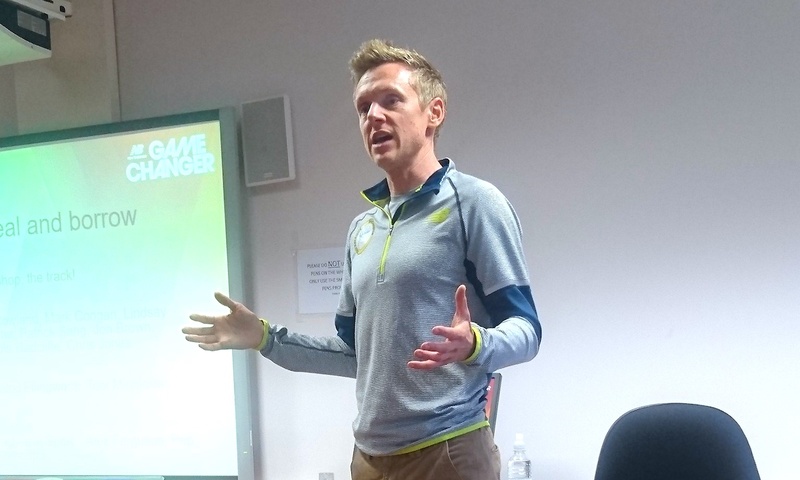 Former GB athlete-turned-coach Mike Baxter also talked about dealing with the life of an athlete beyond just running and structuring sessions around the fact that most amateur athletes have a normal day job. While session duration should vary from athlete to athlete depending on their circumstances, Baxter emphasised that mileage is key and whilst less is more for interval sessions, building sufficient mileage around tough sessions is what builds aerobic capacity and the endurance that’s needed. Allison Benton brings together high potential athletes together in the Brighton and Sussex area and her philosophy is about the benefits of group training and the power of the collective being greater than the sum of its parts. Benton inspires results by fostering a strong sense of ‘belonging’ within her athletes. The coach creates a training environment where the group inspires and motivates each other from within to drive up levels of performance. Sharing results, celebrating success and bonding activities, like training camps, are key ingredients alongside strong, resilient leadership. 1) Be bold and ask for help: Fellow coaches are generally open to having conversations about challenges and more than happy to help. Tap into the network of the coaching community. 2) Find smart ways to access the tools that will help support your athlete’s performance: Physiological blood testing can be expensive but some university’s offer it for free. Those training in massage and physio might offer free or cheap access to their services. 3) Use social media to your advantage: While constant comparisons of race performances on Power of 10 or Strava can be a distraction, WhatsApp can be a tool to build a sense of team and belonging among training groups. 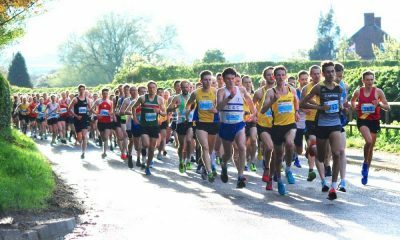 4) After a disappointing race performance, don’t jump to find answers straight away: Take some time for you and your athlete to reflect on how to improve and remember no-one gets a personal best every time they race. Failure can be tough but it’s an opportunity to learn. 5) Be as committed as you expect your athletes to be: Coaching is a feat of endurance for both coach and athlete. Be thick-skinned and prepared to ride out the tough times and challenges and always keep learning. For more snippets from the conference and updates on future events, check out @endurance_uk on Twitter or contact Keith Scofield via email: ukenduranceconf@gmail.com.